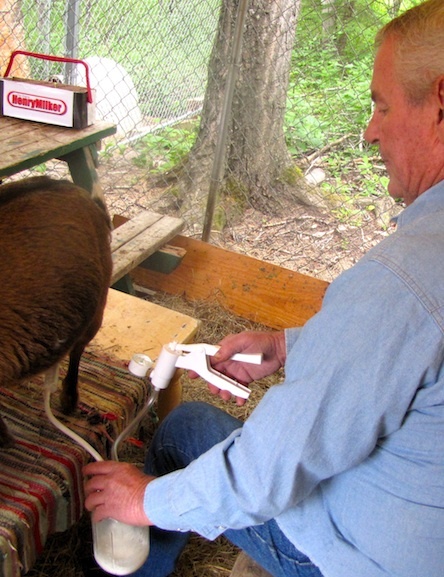 The Henry Milker: How Often To Milk My Goat? How Often To Milk My Goat? Goats should be milked twice each day. Milking every 12 hours insures the greatest production of milk and is best for your goat's udder health. Many backyard goat owners cannot commit to milking every 12 hours or are not interested in a large quantity of milk so they allow the kid(s) to continue to nurse part-time and only milking once each day. How Early Can I Breed My Doeling ?